The cracking M18 from Mouser. 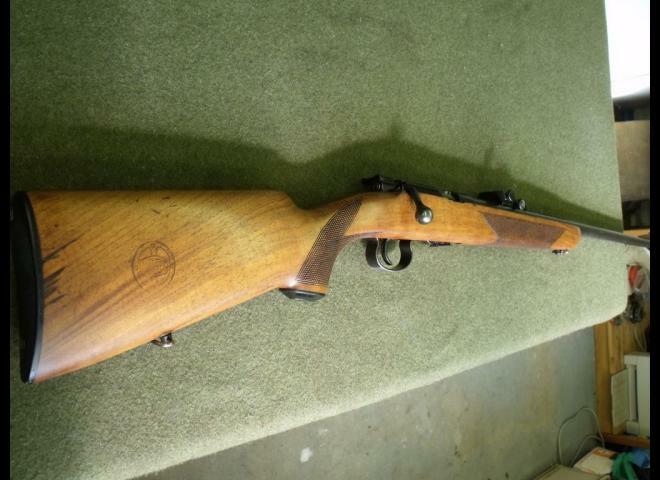 A RARE PRE WAR GERMAN SINGLE SHOT TRAINING RIFLE (FOR THE k98) WHICH WE BELIEVE WAS SPORTERISED IN THE 1950s WITH THE FITTING OF PARKER HALE TARGET SIGHTS AND WOODWORK ALTERATION. ALL NUMBERS ARE MATCHING AND WITH AN EXCELLENT BARREL. Mauser quality at a very affordable price. Custom K Bancroft of Spire Hollin, Glossop Sporter on Mauser action. 7x57 screw Cut 1/2x28 UNEF with permanent attached Redfield type bases. Complete with Zeiss 6x42 duplex reticule scope in Leupold rings. Comes with a picatinny rail. Looking for something different in a .22 centrefire? 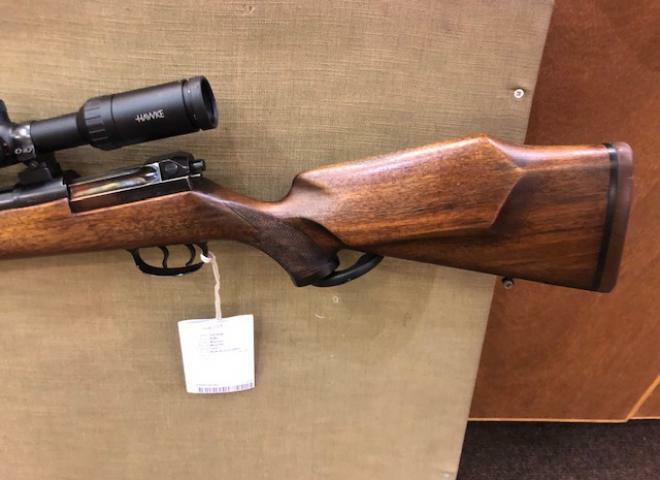 The Gun Room offers you the opportunity to purchase a new Mauser, .308 M12 Impact bolt action rifle with a black synthetic stock, 20" stainless fluted barrel screw cut for a sound moderator, 15x1 and 3 stage safety. A K98 Mauser thats been modernised fitted into a Thumbhole Laminate stock fitted with a Nikko Nighteater 10-5-60 LRX Scope and mounts bipod and ASE Utra sound moderator. The Mauser M12 Extreme brings together the great accuracy, fast and smooth cycling, crisp trigger pull and a detachable 5 shot magazine capacity of the M12. Comes with built in manual cocking system. In VGC with some age related marks to the bluing and woodwork c/w sound moderator. 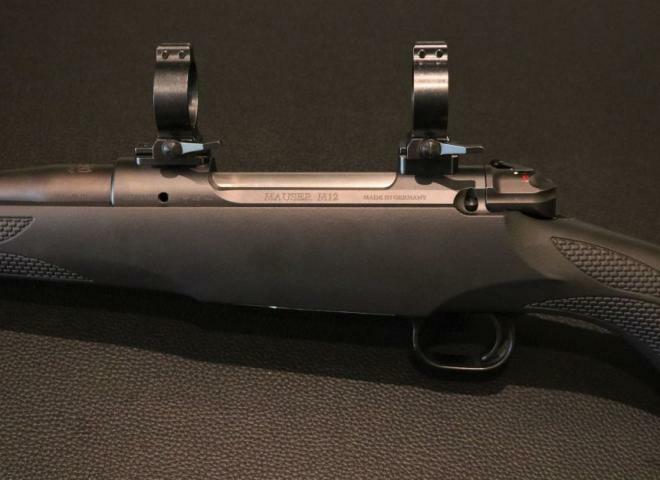 New Mauser M12 impact .243 rifle with stainless fluted barrel and synthetic stock. Screw cut 15x1 no spigot. 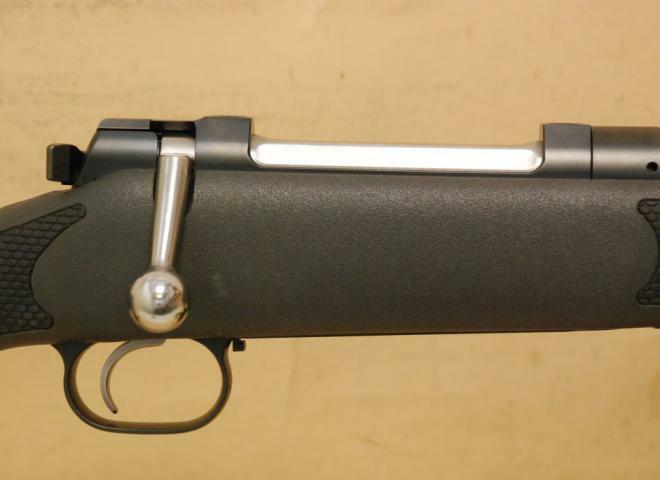 Mauser M12 Black standard fluted cerakoted black barrel screw cut 15x1, comes with picatinny rail. M12 Impact with 20" fluted barrel and rubberised synthetic stock, these are simply the best quality rifle for the money. 01223 837977. 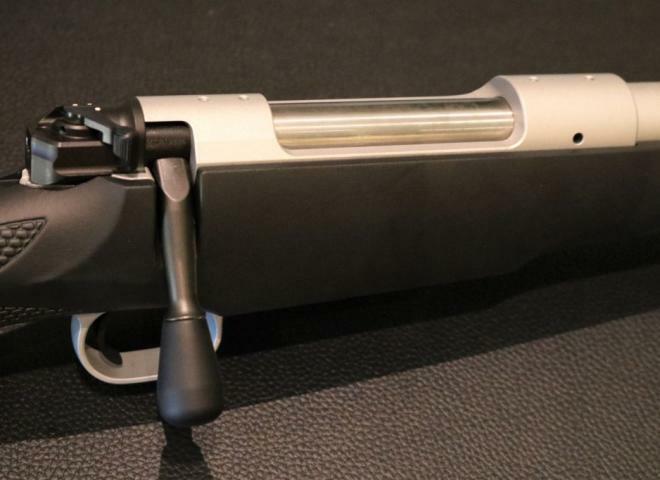 We have created an outstanding package rifle for you. Brand new model M12 with 20" stainless fluted barrel and rubberised synthetic stock, these are simply the best quality rifle for the money. 01223 837977. Mauser .243 M12 Impact Black. 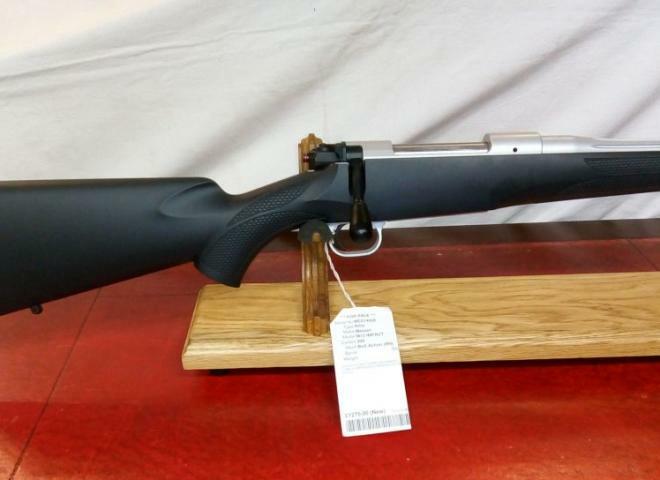 Great value for money rifle with synthetic stock featuring soft grip inlays, smooth bolt, 5 round magazine and 15x1 muzzle thread for a sound moderator. 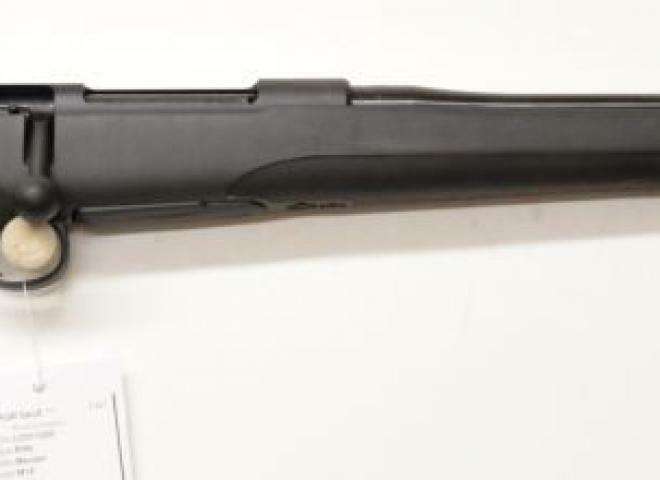 Mauser M12 9.3 x 62 with open sights and threaded.